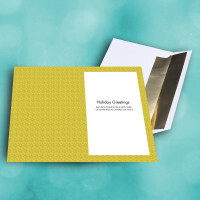 Send some creative greetings with a modern holiday card. 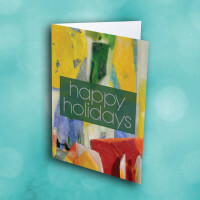 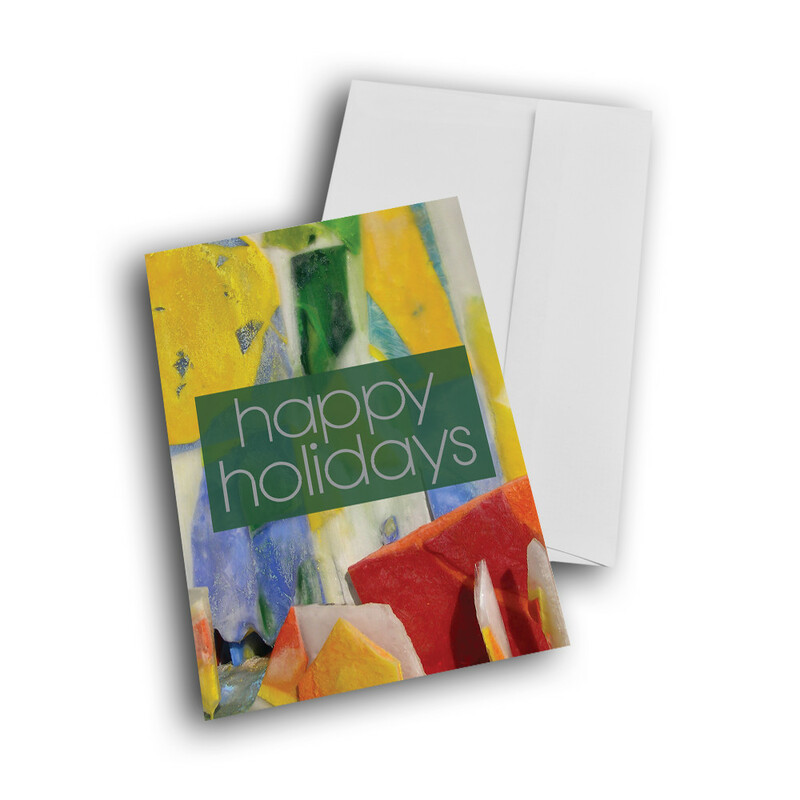 Perfect for any setting, this professional holiday card is unique and stylish. 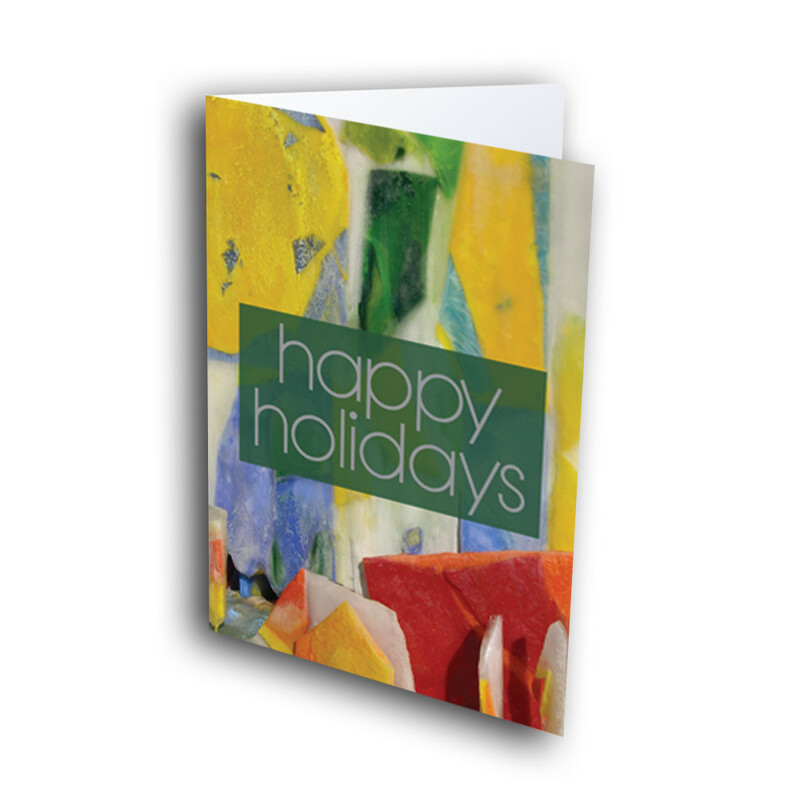 The front is reminescent of a modern art painting, with bright colors and interesting shapes. 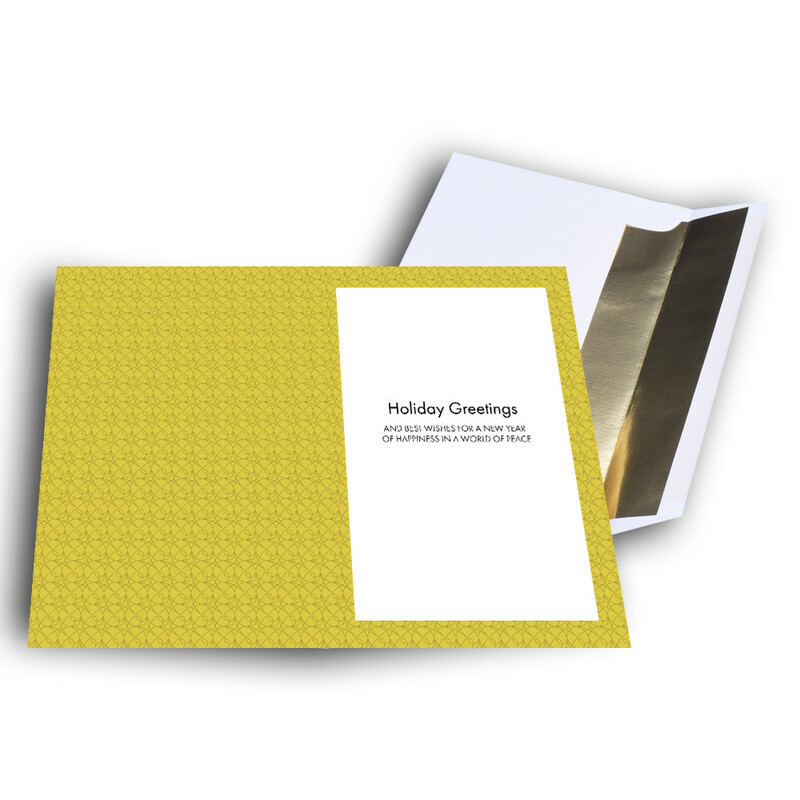 The golden, patterned interior displays the warm message. 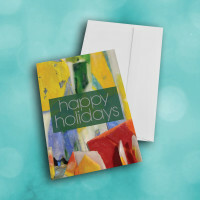 This message can also be modified to make personalized business, or personal, holiday cards.